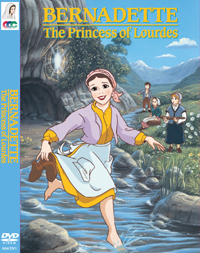 Thank you Lacy at Catholic Icing for another great free resource about the Catholic faith! You can print a copy of this coloring page HERE. As our priest explained this morning at Mass, Dec. 8 is when Catholics around the world celebrate another beautiful feast day, the Feast Day of the Immaculate Conception. However, since Dec. 8 falls on Sunday this year, the readings today are for the second Sunday of Advent and the readings for the Immaculate Conception will be tomorrow on Monday, Dec. 9. So what does the Feast of the Immaculate Conception mean? Many Catholics and non-Catholics mistakenly think that this day celebrates when Mary miraculously conceived Jesus, however this feast day refers to Mary being conceived without original sin. 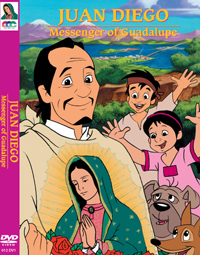 On Dec. 9, we will also celebrate Saint Juan Diego's feast day by watching the CCC video, Juan Diego-Messenger of Guadalupe. See below for a summary from CCC about this video and Juan Diego's true story.